Click here for information about the Helen Steinkopf memorial fund! 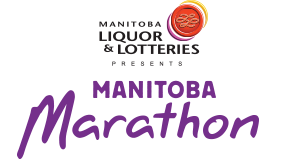 Manitoba Marathon Grants are provided throughout the year as long as funds are available. Manitoba Marathon Foundation supports proposals in these six areas outlined below. 1. To assist people living with an intellectual disability return to your community from institutions. This includes personal items to make new residences into a home and/or furnishings for a new home. 2. To respond to high risk situations in your community that assist individuals considered at risk or persons moving to independent environments. Emphasis would be on supportive and individualized proposals which encourage the use of community resources as people move to full inclusion in the community. 3. Employment – Assisting people with an intellectual disability to find and keep jobs in the regular work place, transition from school, transition from sheltered programs to the work place. Consideration will be given to projects of a social enterprise in the community. 4. Family Support – Projects that help to mobilize supports for families with a son/daughter with an intellectual disability. This could be to promote respite services, government benefits, transition from school to work, and navigating the system. 5. Retirement Options – Programs that would enable people living with an intellectual disability to retire and expand their horizons in their community. 6. Early Childhood – Ideas that promote the inclusion of children living with an intellectual disability in existing child care programs.